Today’s version is made the same as yesterday’s, Chocolate Pumpkin Spice Bars … just used the Dark Chocolate Mint Ovation Break a Part. 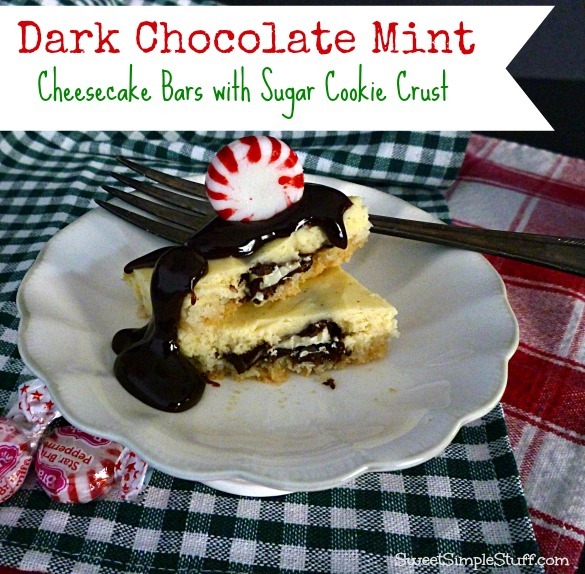 I always make something mint flavored for Christmas, but these would be a great choice any time of year. 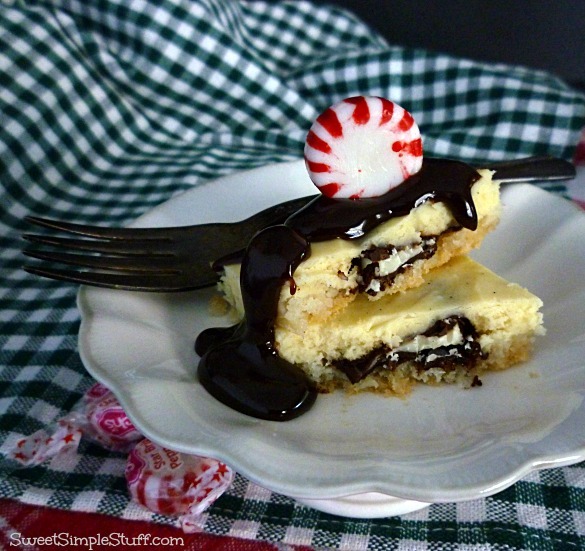 Cheesecake, dark chocolate, mint, sugar cookies and topped with hot fudge … it can’t get any better than that! Heat oven to 350°F. Press dough evenly in a greased 9″ x 13″ baking pan. In a small mixing bowl, beat cream cheese and sugar. Add egg and vanilla, beat until smooth. Break candy a part according to package directions. 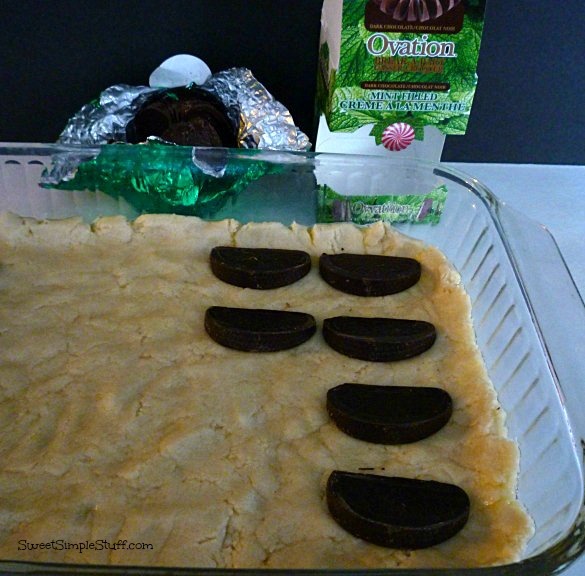 You will have 20 candy sections, lay candy sections in rows (4 x 5) on sugar cookie dough. 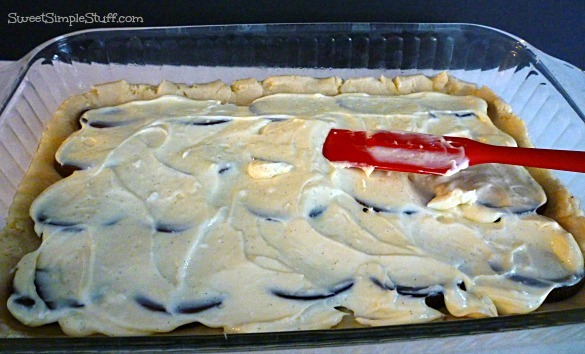 Pour cheesecake mixture over candy and spread evenly. Bake for 30-35 minutes or until edge of crust is light golden brown. Cool completely, cut into 20 bars, refrigerate. Serve with hot fudge sauce. 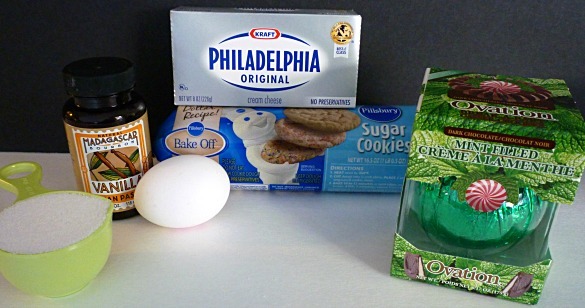 This Dark chocolate mint cheesecake cookies looks delicious and adorable. I love cookies. I read your recipe its really unique and easy to make. loving this kind of dessert…. i love something refreshing like mint on my dessert,well done!